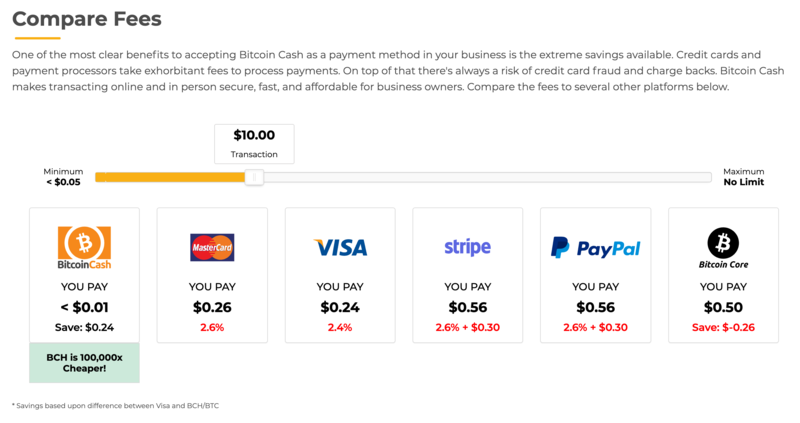 Bitcoin BCH fees compared to MasterCard, Visa, Stripe, PayPal and Bitcoin Core (BTC): BCH is 100,000x Cheaper with a 10 USD payment! Money Button is fundamentally superior to platforms like Stripe and PayPal because we are not a payment processor. The payment processor is the blockchain. The only transaction fees you pay are to the miners. We just provide an API and UI/UX. VISA and MasterCard forced to pay $6.2 billion for over-charging on credit card payment fees!